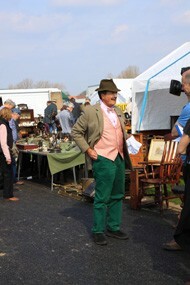 Started in 1999 this twice yearly event has now grown into one of the largest Antiques Fairs in Europe. 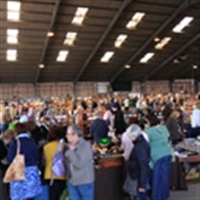 Held at the East of England Showground in Peterborough, the show now attracts buyers and sellers from all over the world. In the short space of time since the event was launched it now has over 1000 stands selling something for everyone from fine art to period reclamation. The show contains a spectacular array of antiques and collectables for sale within four permanent buildings, a variety of trade marquees and several acres of outdoor pitches. There are nine bays in the popular Nat West Building with stalls containing furniture, fine art, equestrian items and anything else that requires a little more space to display. The Cambridge Suite, opened in 2005, contains many rare high quality pieces. On from here is the purpose built Exhibition Hall. This huge purpose built £8 million development offers stand holders and visitors all the comforts that go with a state of the art exhibition hall. Three times the size of the Main Arena this building will have a good mixture of ceramics and jewellery on display. Lastly, surrounding all of the buildings are a variety outdoor pitches and trade marquees containing items from all over Europe, from architectural furniture to antique farm implements. These cover a vast area.